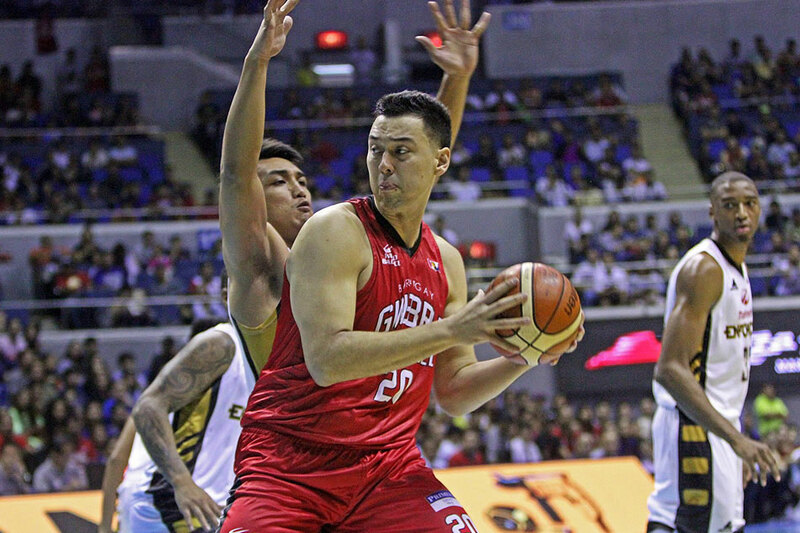 MANILA, Philippines – Barangay Ginebra coach Tim Cone is unsure if big man Greg Slaughter can play in Game 2 of their PBA Philippine Cup quarterfinals series against Rain or Shine, as the center is still dealing with a bum ankle. Slaughter sprained his left ankle last week, and he missed the Gin Kings' 88-80 win in Game 1 last Monday. He told reporters after the contest that his ankle remains swollen. "Let's see how it goes, and we will make a decision (on Tuesday) if I can play," said Slaughter. Game 2 of the best-of-3 series is on Wednesday at the Araneta Coliseum. Cone could not say with any certainty if Slaughter will see action in Game 2. "We're not gonna rule him out for next game but we're also not gonna say that he's gonna play. We really don't know at this point," said Cone. According to the coach, they may activate Slaughter if he can play at 80%. "If he can come out and play 80% of his ability, he's still a Top 5, Top 10 player in the league. Granted, if he's at a 100%, that's a whole different level. 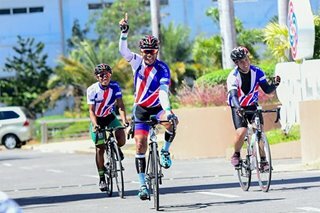 But even at 80%, he's still one of the best players in this league," said Cone. Unfortunately for the Gin Kings, Slaughter is far from 80% at this point, much less 100%. "He's more of about 40-60% at this point," said Cone. Slaughter averaged 16.71 points, 10.43 rebounds, and 3.29 assists per game for the Gin Kings in the elimination round.